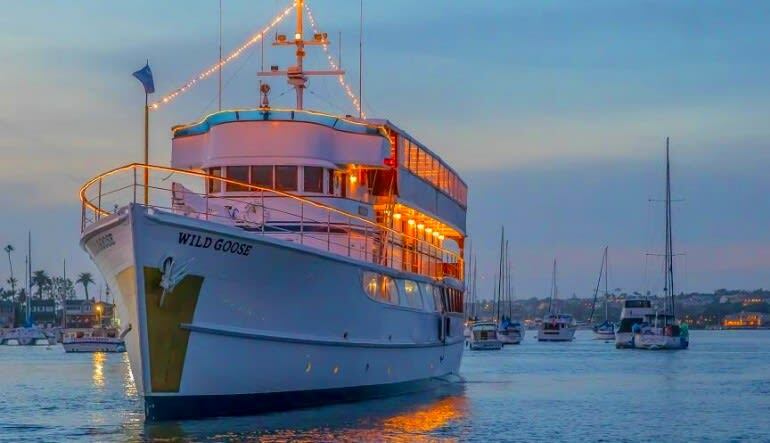 Treat yourself to some of Southern California’s most magnificent sights and most delicious cuisine on a scenic Newport Beach dinner cruise. 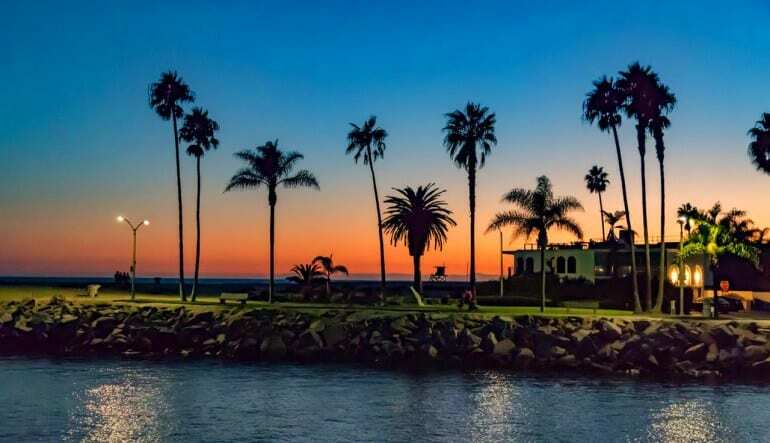 Treat yourself to some of Southern California’s most magnificent sights and most delicious cuisine on a scenic Newport Beach dinner cruise. As you board the luxury yacht that will whisk you away for an unforgettable evening, you’ll enjoy a complimentary welcome glass of champagne. 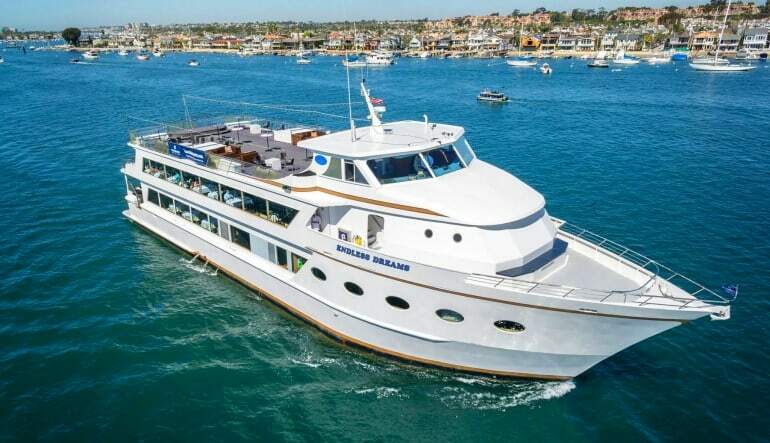 Then it’s off to your private table to enjoy a locally sourced, four-course gourmet dinner as you glide through the splendid Newport Beach waters. After dinner, you’ll be able to take a relaxing stroll on the outdoor deck where you can enjoy the tranquil waters, picturesque shores, and dazzling night sky. You may even want to take a spin under the stars on the outdoor dancefloor! Experience an evening of elegance and extravagance while making memories to last a lifetime. 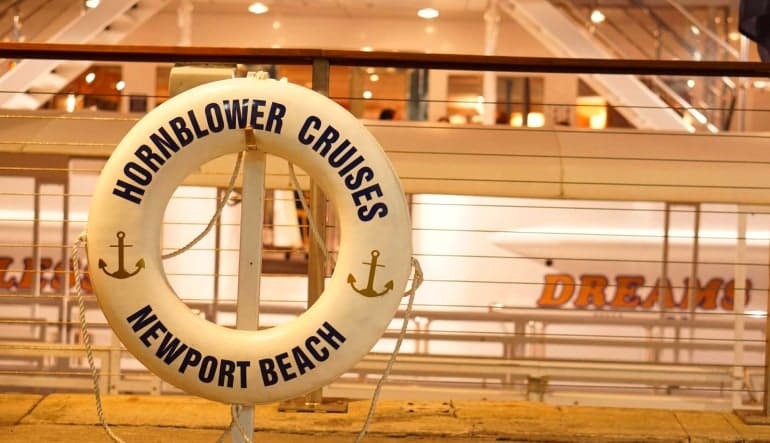 Don’t miss this outstanding Newport Beach dinner cruise!